Approximately 10% of all electricity used in industry is accounted for by compressed air systems. 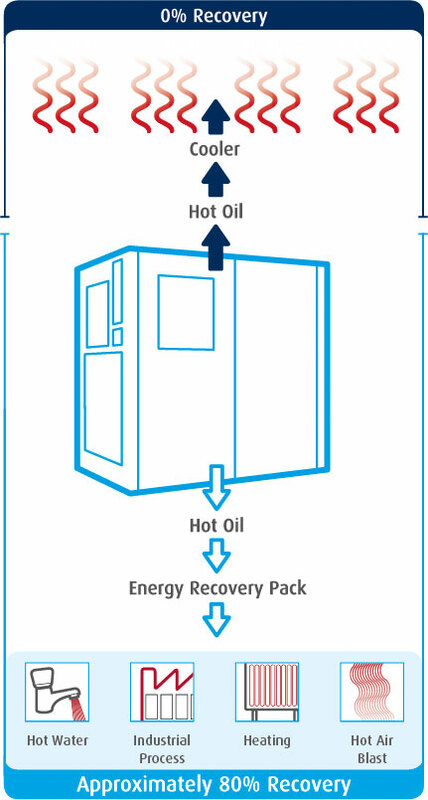 It is a thermodynamic fact that around 95% of this energy is converted to heat and is wasted to the atmosphere through heat dissipated by the motor and cooling system, with the majority lost via the oil cooler. 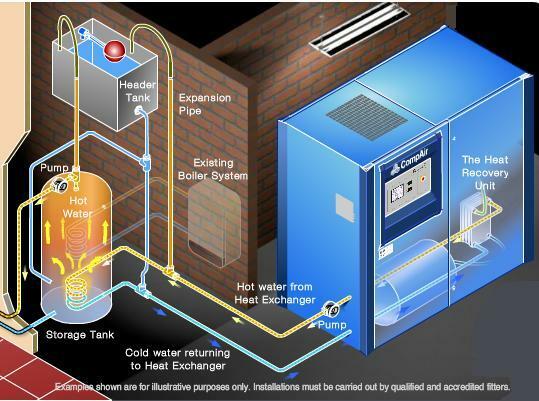 By re-directing the hot oil to a high efficiency oil to water heat exchanger, the heat can be transferred to water, raising the temperature to a required level for a multitude of applications.